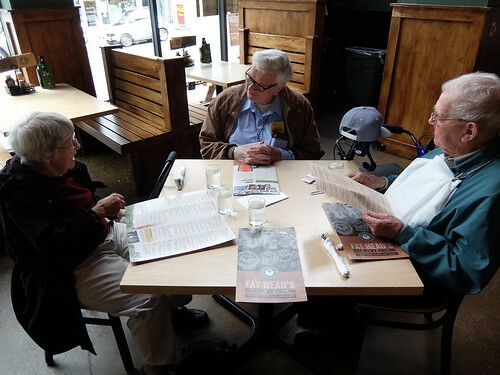 My relatives bounced down on Amtrak for lunch in the Pearl district. I met them at Union Station. They only had about two hours in Portland all told, but then riding the Coast Starlight both ways was part of the adventure. Bill pioneered the day trip by train experience a few weeks ago and had a fun time. Why not share the experience with Howard and Wilma? I started the day with panel discussions, on the relationship twixt Stats and Data Science, and another on Deep Learning, so-called. A lot of terminology has developed, unsupervised by any overarching Philosophy or even Theology department. We're not doing trivium / quadrivium anymore. Later, when back in my bat cave, I got to fiddling with my LinkedIn profile some more. We wade into social media at different times, with some people just keeping the door open with a kind of stub resume. The Ux pressures for something more, which is fine, LinkedIn has work to do, a real job. I'm continuing to explore the implications of a "lambda calc track" through Oregon high schools, consulting with Ted Kosan, Joseph Austin and others. I'm liking this website on Anti-patterns in Python, which Jurgis Pralgauskis kindly shared on edu-sig. It's not like I've had time to speed read it all, just it's a decent stab at a thorny topic. Some will say, at the end of my little story, that something had caught my eye and got filed away unconsciously. Others may say I'm lying, but then stories of this type are common enough. I was relaxing on the weekend, plowing through some stand up comedy Youtubes, when I came across one by a semi-famous movie-maker, recounting his recent interactions with Prince. That tipped me into watching a documentary on Prince; I let Youtube just keep playing. I became quite interested and started seeking out specific tracks the talking heads had been raving about. As you might gather from the above, I was coming from outside the Prince sphere, peripheral to the scene. Portland has its Pedalpalooza Festival, bicycle-oriented, and one ritual ride has long celebrated both David Bowie and Prince as the two major avatars (long story). Lindsey (not in Portland) wondered how that would go this year, I'd expect a large turnout. So yes, some of my closest friends are Prince fans. I'd told her my synchronicity story, Deb too. 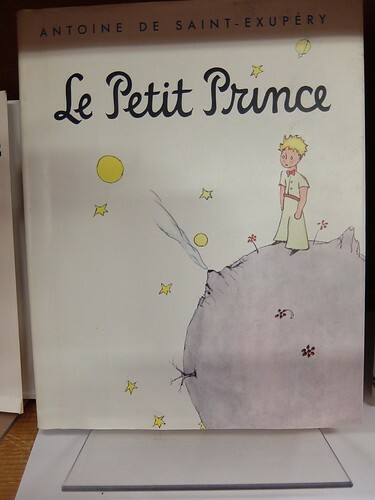 What's outstanding about this story, from my point of view, is only after at least three hours of spinning in the Prince vortex did I finally realize the whole of pop culture had been doing that for some days. Prince had died just days before. I hadn't known that. I just got caught up in the spirit of the times. Having watched Ingmar Bergman's movie The Seventh Seal with Lindsey, I wrote her back that what I'd pieced together is Prince was playing chess against death -- hardly a Sherlock Holmes statement, as we're all doing that (some more consciously than others, at any given time). My friend David Koski expressed the pride Minnesotans take in their Prince, an all around good guy. He was loved by nearly all women it seemed, which made some men jealous -- that was David's take. Having just immersed myself in the story, I agreed he was phenomenal. "The Room" is just Room in the five year old's vocabulary, no definite article required. Bucky Fuller used Universe the same way, saying "Universe" (as in "Room") not "the universe" (a more lowercase 3rd person view, not as place-based). We're treated to "the omniscient camera" in its purest form in this well-crafted film. "Camera" itself means "Room" in Italian. Our "room" is the camera's "space of events" which includes hearing the child's thoughts. We hear his little voice narrating, a somewhat metaphysical patter, as he sorts out Universe (Room), reviews his cosmology. There's so much "place" outside Room that "time is spread thin" like too little peanut butter spread thinly on bread, and with everyone therefore stretched (stressed, pulled) to "hurry up" to cover all that Place. In Room, Place was held constant so Time was less stressed. Next week and next year still ran together as time was more immaterial. Given our privileged Angelic viewpoint, we see far more than any one character. We appreciate how really intelligent that back seat police officer is, putting a picture together of what crime to phone in. Throwing a little kid on the ground and stalking off is a great way of calling attention to oneself. Old Nick was a man of zero skills in the HR sense of the word. He needed a room of his own. The fictional Dexter, likewise a psychopath, was far more dangerous to others. I immediately appreciated the parallels between The Room and 10 Cloverfield Lane. Both are claustrophobic, about prisoners of a seemingly all-knowing patriarch. Both feature the omniscient camera and its Angelic point of view. The newscaster's questions don't really penetrate to the heart of what we've seen, and we know the newscast viewers will probably never understand. The newscaster wonders if the mom had been selfish in not getting her baby out earlier, not appreciating how Old Nick could have tossed a baby off a bridge with a heavy weight in the bag. The mom took a calculated risk with a highly optimized plan that worked out. She's right up there with those Covert Affairs characters, in engineering their ingenious escape. She's not just a good mom, she's a highly professional mom. What we don't see with our omniscient camera is what Old Nick was up to between tossing the kid down and heading back to the shed in his truck. Given his temper, he could only have been thinking murderous and vengeful thoughts, and the mom was certainly expecting retaliation, but hoping the police would come first. We're tracking with the police at that point in the story, are in the back seat with the kid, his Guardian Angel (angle) and then see a mother running towards us from the darkness, but not actually from the shed. We know Old Nick is still alive, but that's about all we know. The police sirens may have had a deterring effect. So actually we're not omniscient at all, just have a unique angle, but with no ability to give testimony. David Koski was reminding me tonight of the happy mnemonics twixt ancient Greek results and our Synergetics concentric hierarchy. A cone inscribed in a cylinder of same base and height has 1/3rd its volume. A cone having half the cylinder's height, its tip at the equator line, has 1/6th its volume. Lets define two cylinders, one twice the height of the other, called "oil barrel" and "tuna can" respectively. Two tuna cans stacked up = one oil barrel. We could pour sand from objects on the left into corresponding objects on the right. 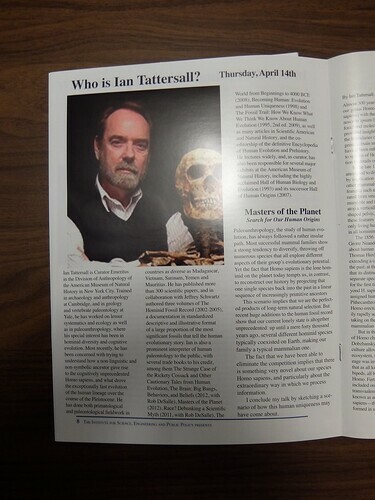 Ian Tattersall sees a pendulum swinging in paleo-anthropology. Darwin was peculiarly distant from the actual human fossil record so far assembled in his own time. A new and challenging specimen apparently made it into his hands. He wrote about it in a letter, but it's nowhere mentioned in Descent of Man. Perhaps we forget how radical his thinking seemed at the time? He was unwilling to stick his neck out much further, in an area so sensitive? Old bones went to anatomists for examination, not to this new kind of dirt-digging, Galapagos-visiting geek. The pendulum went towards an excess of invented species after that, multiplying without much rhyme or reason in the creative writings of many a chronologist. Then swung back, to where we had maybe only the one track, with three successive phases (Sapiens the third). The picture these days is settling down to something in between and more complex. Many lineages of hominids come and go. Nature always seems to have a next hominid up her sleeve, starting at least three million years ago. The success of the Sapiens, in terms of sheer numbers, but also degree of tool use, is of course entirely unprecedented on Planet Earth and should not be used as our guide to the past. In geological time, this phenomenon has just started, and marks the start of a new chapter. Let us not project ourselves and our patterns too forcefully upon our ancestors, was Tattersall's cautionary message. Projecting back to Darwin's time is hard enough, and for then we have decipherable symbols (actual history we can dig up). He doesn't think we have evidence of symbolic processing until 40K to 70K years ago, even though the physical architecture of Homo Sapiens had been in place well before that. The hardware was there, but Humanity 1.0, the software, came later, mesh-networking we Sapiens into a platform, a noosphere, a cloud. By 40K years ago, Southeast Asia had its symbol-using Sapiens. They were starting to show up everywhere by then. Turnover in tools, language being a tool, does not correspond to speciation. A new species will continue making a previous specie's tools. Dramatic changes in tool-making techniques do occur in the archeological record, but not in some simple correspondence with the type of hominid behind them. Neanderthals made beautiful tools, but were they thinking with symbols? That's dubious. Which is not to say they were unsuccessful or unworthy in any way. We could say the jury is still out on whether symbolic reasoning was such a great innovation, if species longevity is to be the measure. Anyway, why be so judgemental? Is it because Genesis has God seeing things as pretty good at the end of each day, that we presume Judgement is the whole point, of what's to be the Last Day as well? Could having Good Judgement be more a matter of having Good Taste? Around the time of Noah (The Flood) we're to understand God was getting a bad aftertaste from Humanity and had decided to snuff it out. His sense of taste had been offended. We weren't the right kind of hominid. God's ambivalence towards Creation seems on display in Noah's day, with the rainbow an eternal promise to not give up again. Next time He'd try an even more drastic measure, and send his only Son (the Christian story line) -- this lecture was in a church after all, but this is just me thinking, i.e. I'm not relaying Tattersall's rap at this point. In any case, we needn't look for language and Sapiens to emerge in the same moment. Any theory premised on the notion that such a moment must have occurred (suddenly, a new species of language-wielding hominid burst upon the scene) is perhaps over-indulging in science fiction, with an emphasis on the fictional part. On the contrary, cultural ontogenesis seems to have no simple basis in physiology, though we may trace the arc of brain growth to trading away the protection of the trees, for the cooperative hunting and gathering model of the open savanna. But that's not the saga of just one lineage, plus its closer to an hypothesis than an explanation of anything. When did fire come on the scene and wouldn't that have added to brain power, by some natural selection process? Nobody knows for sure, as the fossil record is mostly silent about the use of fire. During the excellent catered dinner afterwards (salmon! ), in the church basement, I asked him about the new finds in the deep crevices and limestone caves of Southern Africa. He was well aware of the findings and praised the finder for adopting a more open source approach, more reminiscent of what "real science" used to mean (versus sitting on one's stash for cash). Should Oregon's high school math teachers have professional development opportunities through higher education institutions? They do already, to some degree. But to what extent do institutions of higher ed take advantage of their business incubator programs? If you dig down, you may find a code school or two in your town, staffed by avid geeks who have competence and confidence in the software world. This is the new world we're always rubbing up against in any high school mathematics class, and I'd argue in language arts too, as the Document Object Model (DOM) is what if not a model of a document? Don't grammar, rhetoric and logic overlap with such a thing? Do we still teach any music? Video editing? Part of learning to code is learning to communicate about technical subjects, and that means making videos, not just writing PDFs or web pages. The code school curriculum could counter boredom and perhaps complacency with some unfamiliar mathematics, to go with the novelty of a computer language taking over for the calculator (obsolete). 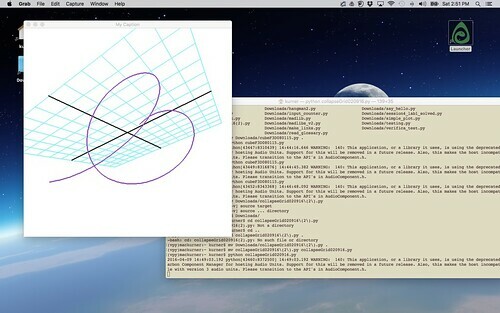 As long as the content is new, why not go all the way in some cases and use this program to introduce not just new ways of teaching the same old stuff, but new ways of teaching some new (GNU) stuff as well? the Concentric Hierarchy of Polyhedrons and their modular decomposition, along with Quadray Coordinates (completely alien, part of what I call Martian Math). Giving code schools some GNU Math to share keeps them branded and outside the academic mainstream, by design. They will be complementing more than competing with other professional development courses, in sticking with alternative content. The laptop fan is on, given all the CPU-intensive compiling that's going on. First comes compiling the compiler, the latest gcc, with Fortran enabled (gfortran). Then comes another attempt to get Pygame working. Homebrew warns against trying to work against an Anaconda install of Python; it's the framework Python 2.7 it wants to build against. But then I saw a promising formula on StackOverFlow... etc. OK, got it working. 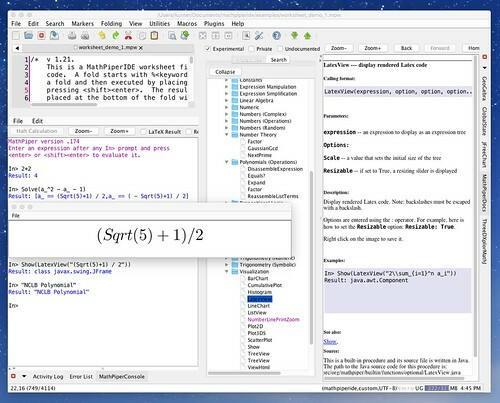 Relatively painless was the install of MathPiper, a Java application. Carol is on the move again, having completed the Left Coast circuit. She and Ellen Thomas are tackling the Right Coast now, trending inward (I'm actually not sure of their itinerary, just glad we've got our Verizon, with lots of coverage). Why it's called "left" is highly conventional as from the inside of the Earth, as in The Mapparium (a walk-in globe, one of the first), we could see the Catalina side as "right". This "looking out from the center" is the "Geoscope" idea, an extension of planetarium technology but as much for sharing biospheric data as stars capes. I'm prepping for a trek north that in olden days would have taken long days by horse and buggy. The motorcar option really opened up under Eisenhower, which followed Roosevelt (FDR) with public works galore. We may have a hard time remembering those days (I have to fake it, born in 1958, soon after the dam at the Dalles opened). The war toy biz is still impressive, in terms of energy expense, but that's closed off to most viewers. Heavy construction is still in evidence but how much is devoted to infrastructure? The Bureau of Public Roads (semi-fictional) took care of a lot of deferred freeway maintenance under the economic stimulus administered by the Obama administration, not unlike one of FDR's attempts to galvanize through public funding. I drove long stretches of I-70 appreciating the upgrades going on, lane repaving etc. If we're to continue with truck-based transport, however fueled. That was during a St. Louis visit (cite of car rental pickup). We were attending a Distance Education conference (USDLA). By "prepping" I mean taking some down time, hiking and taking in some instructive videos. That would include the Poverty, Inc. thing. Walker came by, moving up our Friday tea date, and we shared some of the same observations. We thought the Flossis would like it. The film is an open letter to Bono almost, exposing the evils of dumping in the guise of aid. The thing is, it's complicated, as the film itself points out: not all NGOs, or even Gongos, are created equal. Just like in the private sector. Businesses differ in how they do business. Hey, don't let me overwhelm you with my vast experience. I'm just another guy in a time tube. However I have seen quite a bit, thanks to an itinerant family and a career that gained me entre into quite a few lines of work, including cardiology and land use planning. I continue to be interested in maps and visualization systems (especially for global / planetary data). I got to sit in on interesting meetings in my day, sometimes opening my mouth (expected), other times not so much. I'm fine with sitting in the back row at Wanderers meetings, for example. Other times I get to present. Those protesting the dumping do have alternatives in mind, which sound very Reaganomic in sentiment, so I can't imagine much objection from the horse owning crowd. Being one's own boss in a company of one's peers is a dream come true in capitalist heaven. Haitian businessmen want to build, sell and install their own homemade solar powered street lights, which are not inferior. NGOs come along with tons of free stuff and avalanche an economy with excess, keeping prices higher at home (desirable) and getting the write-off. Call it a subsidy, call it whatever, it's the reverse of an import tariff, it's selectively wiping out small competitors. The film's recipe for success is not one most NGOs would object to: the rule of rules. The flip side of that is simplicity called "corruption" but that's where an anthropologist's work begins. Those with no organized network are easier prey, and herding is a natural instinct. Making a movie to express a viewpoint is a coherent strategy, well done by Yes Men. The documentary is an appropriate vehicle for dueling views. Youtubes come with varying budgets and production values, but people who have something to say just need inexpensive recording equipment to have input. Lindsey and Jordan proved this locally with some excellent footage. Writing up how it actually works (descriptive) is often more valuable than imposing a new rule system. Adjustments in something already working, however "corrupt", is often sensible and, as important, doable. Corruption is a feature of the narrative, the accounting system imposed. I'm not saying that to "justify" what's criminal, just treating every broken institution as a crime scene is not always the most productive approach. I'm paid up with AAA and may cycle back to Jiffy Lube for fluids top-off prior to the upcoming road trip. Owning a car is far from free. Other DVDs are going down. Amino acids. PDB files. I use another local mechanic as well. I've been agreeing with the veterans / alumni on mathfuture that a code school needs advice from surrounding technology-intensive communities who might want to send talent scouts to our meetings, or accept interviews. That'd be OHSU in our case, among others.